A Ford Ranger was stolen, stripped, and had its tracking unit allegedly removed and placed next to it. 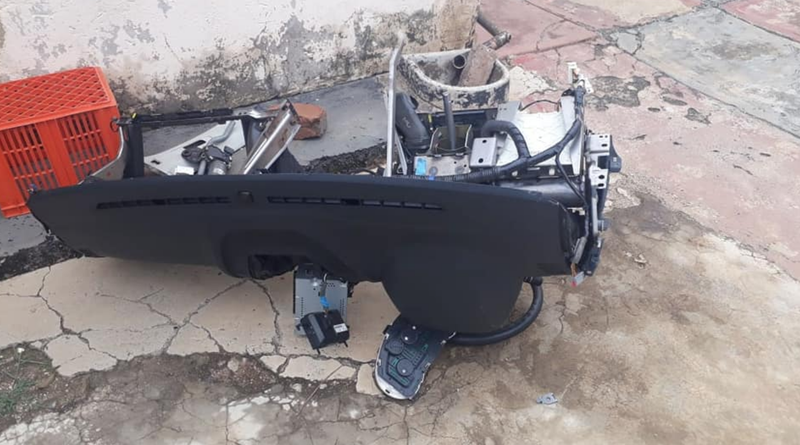 Pictures shared on a Facebook page show what remains of a Ford Ranger that was stolen and found on the same day in pieces. It's hard to fathom that your beloved car could end up looking like something out of a horror movie within hours, but anything is possible. Most of us fit our cars with trackers in hopes that if they are stolen, it will be recovered quickly and, hopefully, still intact. According to the post on Facebook, the Ranger was stolen earlier in the day and when it was found, hours later, it belonged in a scrap yard with it's tracking unit apparently placed next to it. Some comments on the post suggest that it was an inside job because no one else but the person who fitted your unit should know where it is, right? Whatever the case may be, it's heartbreaking to know that something you worked hard for could end up looking like this.